Shingle roofing is very popular in Florida. Most roof leaks in shingle systems develop around roof penetrations like skylights of plumbing stacks. Additionally, roof leaks are commonly cause by nails backing up over time. These are usually small leaks that persist over time before you notice them. the result is the need for a shingle roof repair. Unfortunately this means there will be some rotten wood to replace. Shingle roof repairs are complete by removing the shingles and tar paper in the affected area. The demolition continues until clean and dry wood is found. Rotten wood found must be replaced with new. And finally, the tar paper and shingles are put back on. Most shingle roof repairs will cost around $750.00. Many property owners choose to have their roof inspected annually for common problems. Below we discuss the most common issues homeowners and commercial property owners face with shingle roofs. These are all problems we regularly handle for our customers. No matter what inconvenience you are facing, we have you covered! Brittle shingles: South Florida’s combination of hot and rainy weather can be damaging to shingle roofs. This pairing will bake and cool your roof until the shingles become brittle and useless. When this happens, water can penetrate the base of your roofing and create “roof rot,” which is a combination of mold, mildew, and slime growth that can take over your home if not attended to in its early stages. 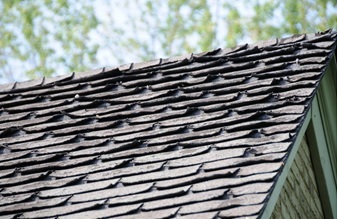 Curling and buckled shingles: When shingles are exposed to excessive heat, they begin to buckle away from the roof structure. 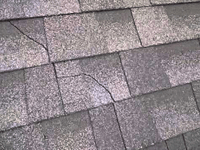 A buckled shingle loses its binding ability and can no longer protect the home properly from rain and other harsh weather conditions. 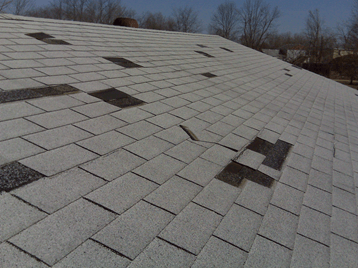 This roof problem requires immediate attention and must be addressed by an experienced roofer. If the issue is not corrected right away, leaks can occur. Cracked shingles: All it takes is one cracked shingle to render your whole roof essentially ineffective. When tropical storms roll in, your cracked roof can do nothing to prevent the water from penetrating the defensive barrier. When our customers ask for whole-roof replacements, it is often because of a few cracked shingles that created a damaging domino effect. Missing shingles: Improper roof installation can result in missing shingles, leading to leaks and water damage. If you notice any shingles missing, contact our roofing team right away. We will replace the damaged parts of your roof and ensure that the shingles are properly secured so you do not encounter the problem again. 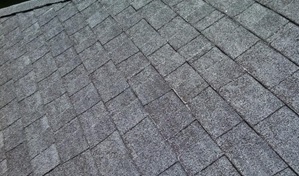 Granule loss: Older asphalt shingles suffer from granule loss as they wear away. This may be caused by exposure to varied weather conditions, such as extreme heat or wind. With granule loss, roof protection is compromised. It is best to seek help from a professional roofer right away to replace your old shingles, giving your home full protection once again. Count on our professional roofing team to provide accurate inspections prior to renovating or selling your property. We will give you all of the details on what is wrong with your shingle roof and what will need to be done to repair the problem. Join our network of satisfied customers who have made the right choice by engaging in our preventive maintenance solutions. Call us today at (561) 586-5655 for a free estimate on your shingle roof service!